Most of us take for granted being able to plug in a mouse and have it start working. That's how computers are supposed to work, right? Like most things, that wasn't always the case. While today you can remove the graphics card from your desktop PC, swap in a compatible newer model, turn the system on, and start using everything like normal, decades ago, this was a process that could literally take hours to fully accomplish. So how has this kind of modern compatibility been made possible? It’s all thanks to the development and widespread implimentation of Plug and Play (PnP). Those who tinkered with building desktop computer systems from scratch at home (i.e. purchasing separate components and performing DIY installation) in the early 1990s might remember just how grueling such trials could be. It wasn’t uncommon to dedicate entire weekends to installing hardware, loading firmware/software, configuring hardware/BIOS settings, rebooting, and, of course, troubleshooting. That all changed with the arrival of Plug and Play. Plug and Play–not to be confused with Universal Plug and Play (UPnP)–is a set of standards used by operating systems that supports hardware connectivity through automatic device detection and configuration. Before Plug and Play, users were expected to manually change complex settings (e.g. dip switches, jumper blocks, I/O addresses, IRQ, DMA, etc.) in order for hardware to function correctly. Plug and Play makes it so that manual configuration becomes the fallback option in the event the recently plugged in device isn't recognized or there's some sort of conflict that the software can't handle automatically. Plug and Play grew as a mainstream feature after its introduction in Microsoft’s Windows 95 operating system. Despite having been used prior to Windows 95 (e.g. early Linux and macOS systems used Plug and Play, although it wasn’t named as such), the fast growth of Windows-based computers among consumers helped make the term ‘Plug and Play’ a universal one. Early on, Plug and Play was not a perfect process. The occasional (or frequent, depending) failure of devices to reliably self-configure gave rise to the term ‘Plug and Pray.’ But over time–particularly after industry standards were imposed so that hardware could be correctly determined through integrated ID codes–newer operating systems addressed such issues, resulting in an improved and streamlined user experience. Now all of that should be invisible to you as a user. That is, you plug in a new device and it starts working. Here's what happens when you plug something in. The operating system automatically detects the change (sometimes right when you do it like a keyboard or mouse or it happens during the boot sequence). The system examines the new hardware’s information to see what it is. Once the hardware type has been identified, the system loads appropriate software to make it work (called device drivers), allocates resources (and resolves any conflicts), configures settings, and notifies other drivers/applications of the new device so that everything works together. All this is done with minimal, if any, user involvement. Some hardware, such as mice or keyboards, can be fully-functional through Plug and Play. Others, such as sound cards or video graphics cards, require installation of the product’s included software to complete the auto-configuration (i.e. allowing full hardware capability instead of just basic performance). This usually involves a few clicks to start the installation process, followed by a moderate wait for it to finish. The general rule for internal Plug and Play components (technically a good idea for all internal components) is that they should be installed/removed only when a computer is off. 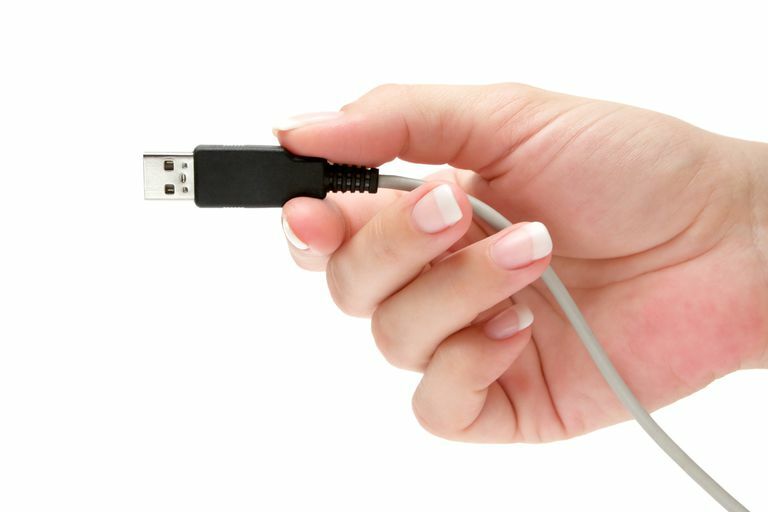 External Plug and Play devices can be installed/removed at any time–it’s recommended to use the system’s Safely Remove Hardware feature (Eject for macOS and Linux) when disconnecting an external device while a computer is still on.